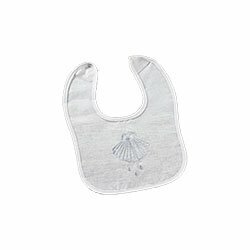 The Baptismal bib is traditionally worn when receiving the sacrament. 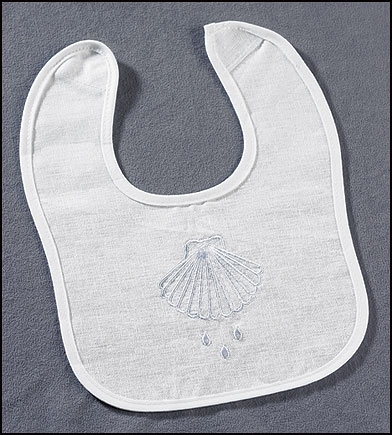 This bib is beautifully embroidered with a shell and three water drops, which represent the Holy Trinity. Features a no-scratch Velcro® closure. 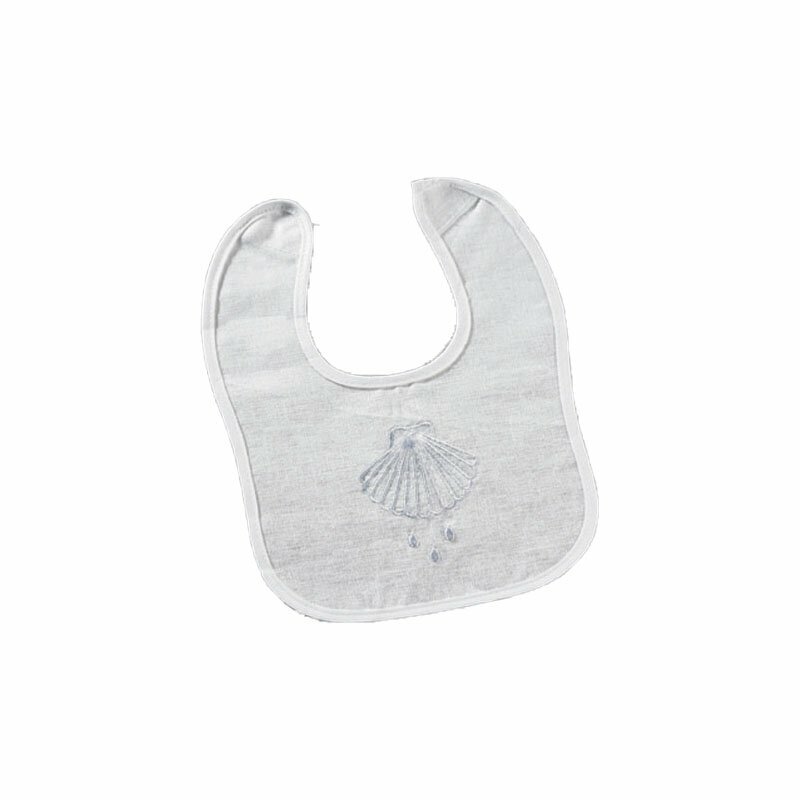 The perfect memento of a child's special day.